I had a look at different approaches discussed on SO, but they either don't apply to the Tibetan font (e.g. only CJK fonts) or they lower the whole line (not just the part inside the curly braces) or they involve a block which prevents automatic line breaks from working (like \raisebox). 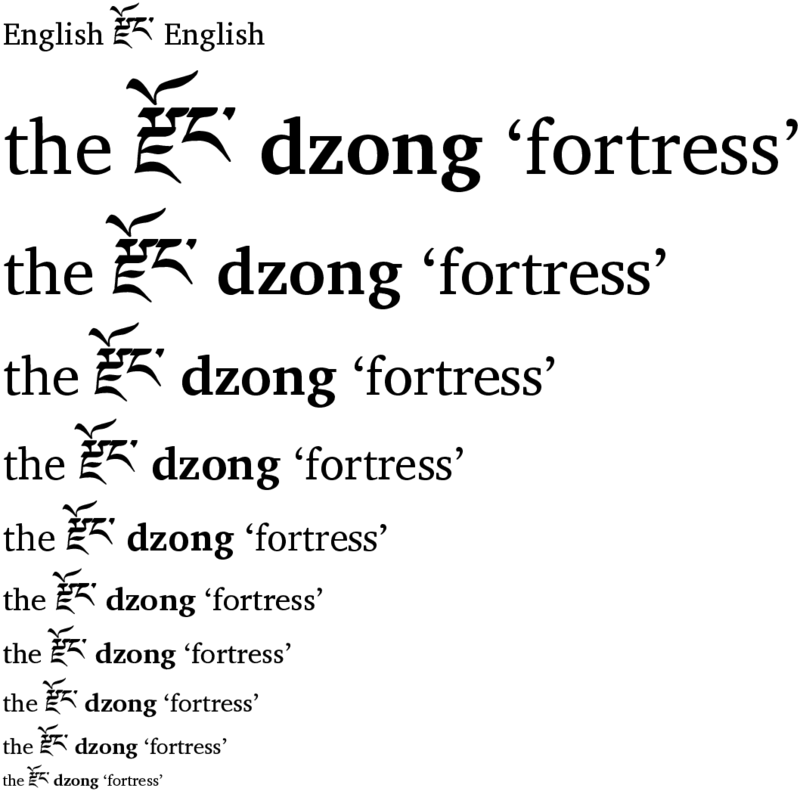 Any idea how I can lower the baseline of the Tibetan font (BabelStrone Tibetan) to make it align with the English text around it? I want to make it look like in the second line in the image below where I'm using a different Tibetan font that has better vertical alignment. Using this answer, you can adjust the baseline with a PDF special. Update to allow for difference font sizes. Not the answer you're looking for? Browse other questions tagged fonts xetex polyglossia or ask your own question. Possible to vertically shift baseline without using a box? Why is XeLaTeX Pushing British English Text into the Margins?